Cead mile failte’! A hundred thousand welcomes! 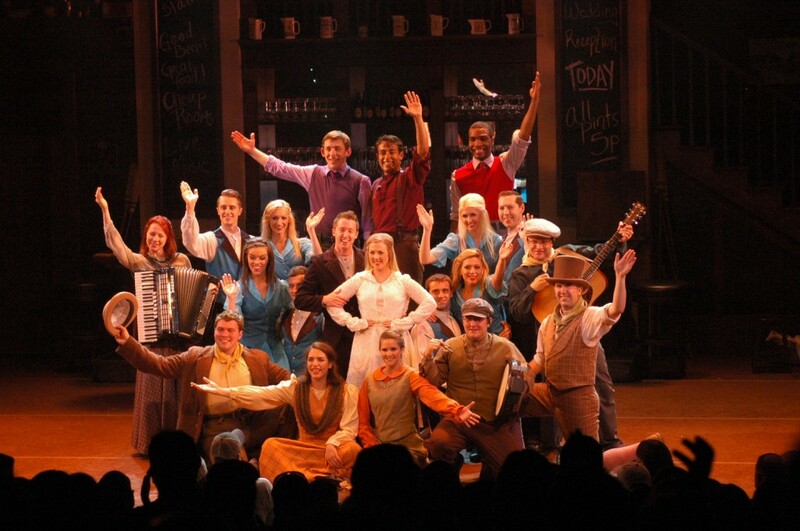 Since 2010, Celtic Fyre has entertained guests in the Abbey Stone Theater. 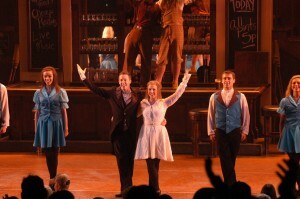 Irish folk music, step dancing, even some American style tap thrown in, make for a mix that is steeped in history. According to Culture and customs of Ireland, the first step dancing competitions, or feis, were not until 1897. The custom of keeping your upper body stiff derives from the fact that they had no hard stage to dance on, so many would unhinge a door and lay it on the ground, causing more attention being given to the intricate foot movement. There are two types of shoes that are worn, a hard shoe (jig shoe) that is like a tap shoe, and a soft shoe (gillies), much like that of a ballerina. Professional and competitive group step dancing rely on precision and timing between the dancers. Solo dances are more about speed and skill. 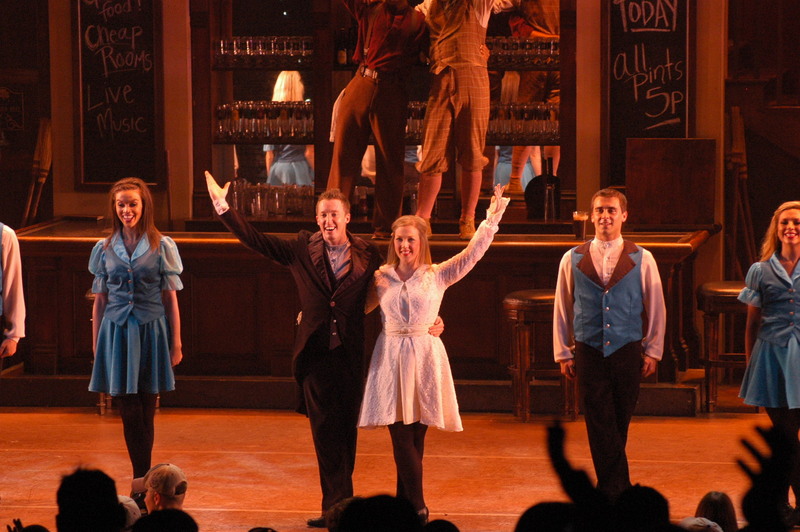 Tap gets it’s roots from Irish step and clogging. It was a popular act on the vaudeville circuit and later became famous in movies starring Shirley Temple and mainstream entertainers like Sammy Davis Jr. Tap involves special shoes with metal plates that cause a “clicking” sound as the dancer taps his feet on the ground. Dare we say “drinking songs”? The song comes from a short lived musical called A Man of No Importance. It speaks of a man who doesn’t need the stage to see art, it is all around you in The Streets of Dublin. Sung by Eimear Quinn, and also made popular by Celtic Woman, “The Voice” is mother nature watching over the world. This is a traditional song that has been done by groups like The Dubliners and Dropkick Murphys. It tells the tale of Tim Finnegan hitting his head, and as the wake goes on around him, he is woken up by splashing whisky, saying “Whirl your whiskey around like blazes, d’anam an diahbal (Your soul to the devil) do you think I’m dead”. Another popular folk song about a man who has traveled from his home to seek his fortune, where before he was a mooch. When he comes back to town, he has money to spare and “Will play the wild rover, no never, no more”. Parting glass is a song sung from the perspective of a man on his deathbed, remember the good times and the bad, asking those around him to fill his final glass before he leaves this world. Celtic Fyre has been a staple at Busch Gardens since it was first introduced and it is one of those shows that always attracts world class entertainers. So, join everyone for the celebration of the newlyweds, and remember, if you want popcorn, they sell right in the back. Stay Mighty!